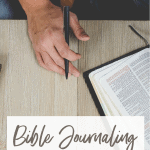 If you have spent any time on my site, you know that I love to do Bible journaling and write about it, often. 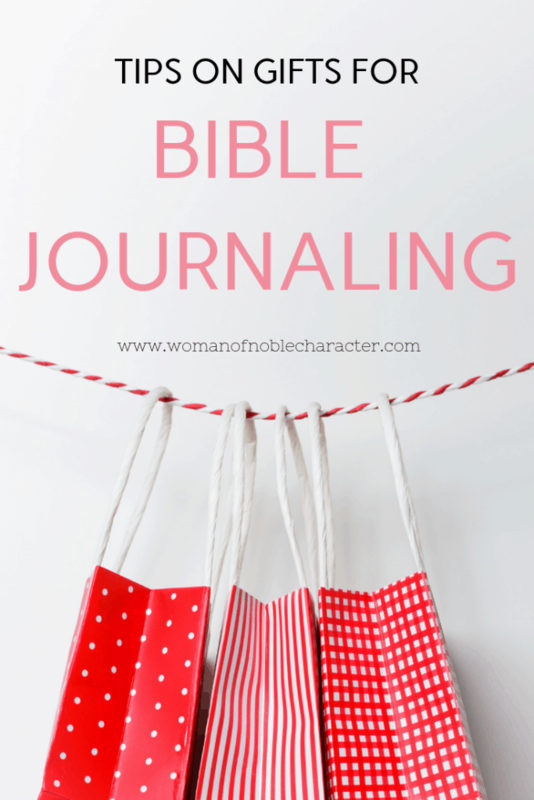 Bible journaling is growing in popularity and so is my Bible journaling supply stash! 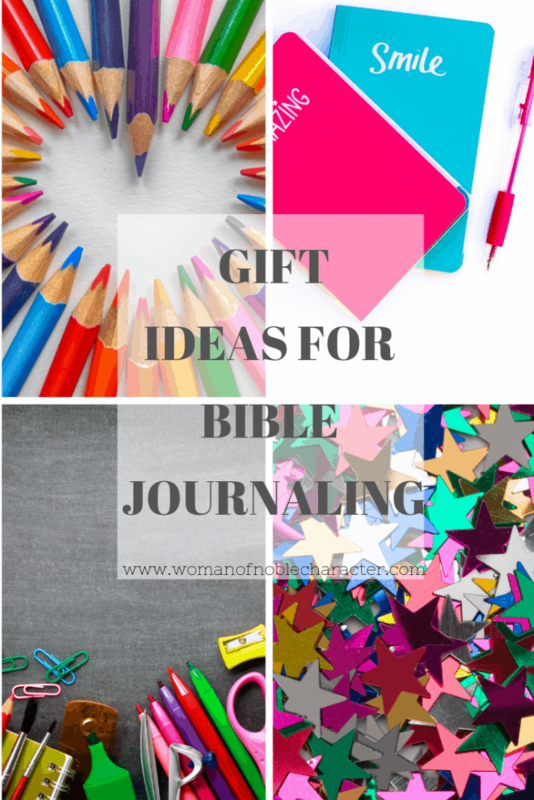 I’m often asked what supplies one would need to get started in Bible journaling or what items make great gifts for Bible journaling friends. 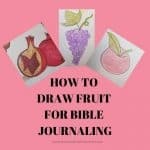 Many of my suggestions come from my tips for Bible journaling. I’ve compiled the list below based on what I use in my own creative worship practices and what other Bible journalers have shared with me that they use. 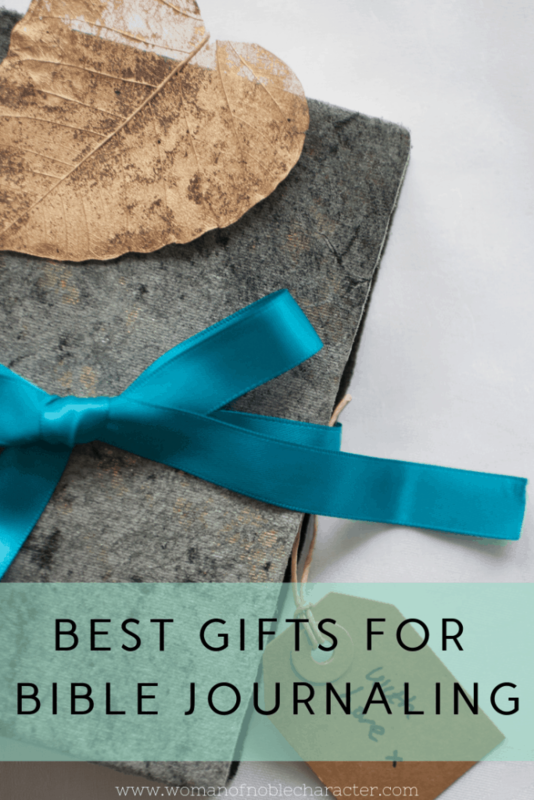 You’ll find gifts for all budgets, too! Many of the products that I’m sharing are from Illustrated Faith. 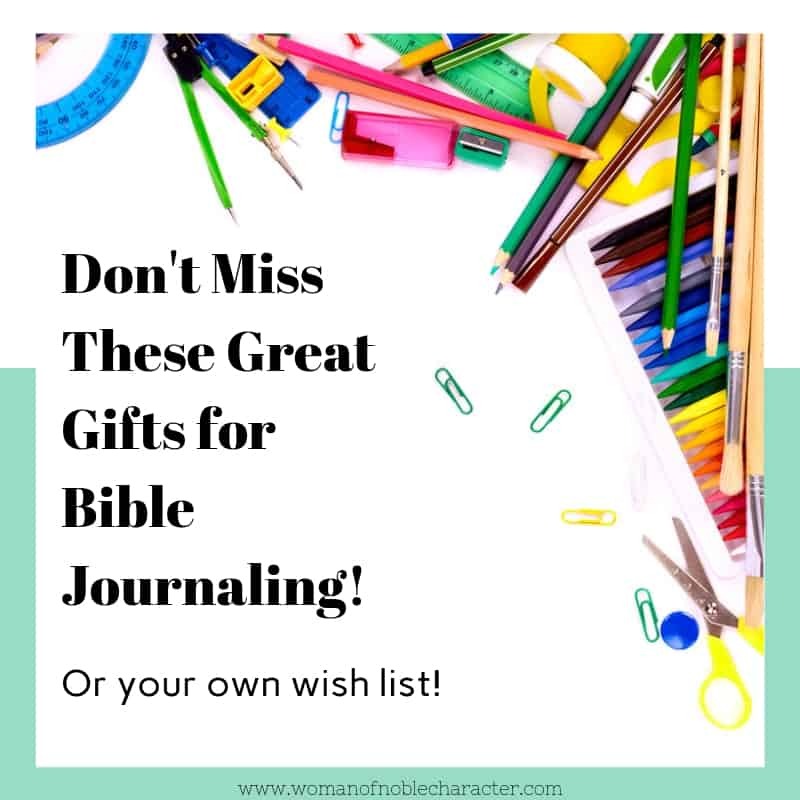 They have a huge selection of products for Bible journaling and are always the highest quality. Oh, how I love washi tape! 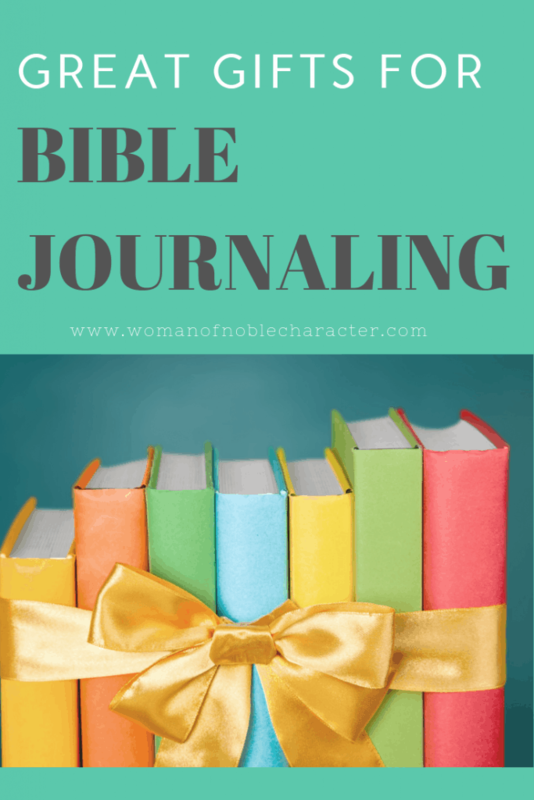 There are so many uses for it in Bible journaling. From edging the first page of each book of the Bible for easy reference to highlighting verses and more, washing tape can be used in multiple ways to add some flair to your project. 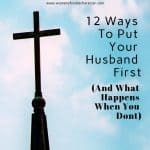 Here are some of my favorites from Illustrated Faith (you can find it with images, like crosses or doves to words including gratitude, love, and more). Who doesn’t love to color? Using the right pen or marker can make a huge difference in how your Bible journaling page turns out. I love this Bible journaling pen from Illustrated Faith. It doesn’t bleed through and writes flawlessly. 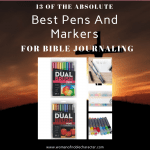 For more on the best pens and markers for Bible journaling, see this post. 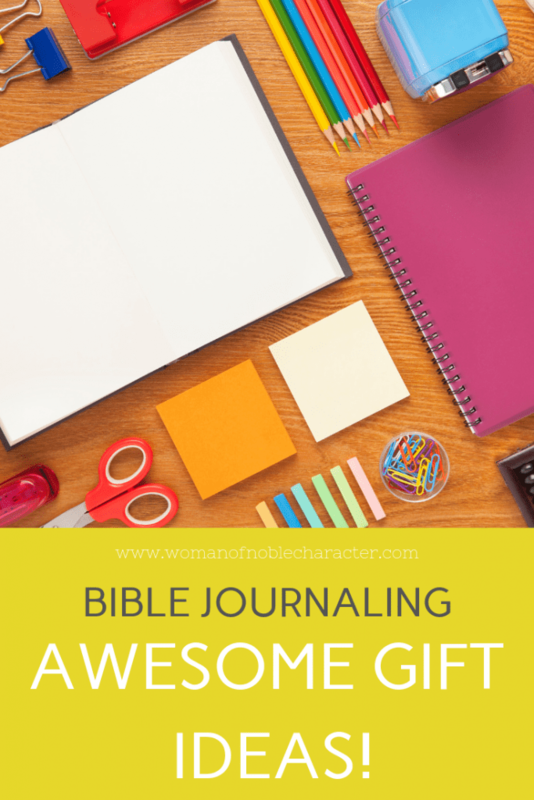 Another great gift for Bible journaling is a kit. These kits from Illustrated Faith, which come in a variety of themes or topics (the one shown below is friendship) include so many fun items such as washi tape, die cuts, stickers and more. Love the kits? There’s a new one each month! Stickers are a fun and easy way to dress up your Bible journaling and war binders and they are the perfect gift for Bible journaling. I mean, stickers are so much fun! If your Bible journaling friend wants to venture out into an easy way to add some pizzazz to their creative pages, but doesn’t want to draw their own images, stencils are the way to go! I am head over heels about stencils and have hundreds (yes, hundreds) in my own collection. Here are some great stencil choices that make great gifts for Bible journaling. Bible tabs are a thoughtful gift for Bible journaling. They can be used to mark chapters in the Bible in a bright and useful way or, to divide sections in your war binder. You can even cut them apart and use them as elements of your page. When Bible journaling, you’ll often want to add additional pages (tip ins) or embellishments to your creative worship. Depending on what you are adding, you’ll want to have a variety of adhesives on hand. Adhesives make a great gift for Bible journaling as you use them, regularly and don’t think to add more to your shopping list. I’ve been using rubber stamps for more than twenty years. I love using stamps to add fun, easy designs to my cards, Bible journaling and even my war binder. These stamps from Illustrated Faith are gorgeous, high quality polymer and will give nice, crisp images every time. All you need is an ink pad (and maybe colored pencils or markers, depending on the stamp you choose) and you are ready to create! If you are adding elements to your Bible journaling, chances are, you’ll need to cut once in a while I like to take designs from patterned paper and cut them out to paste in my Bible. Or, cut die cuts into smaller designs. Whatever you use to add to your Bibles, you’ll want to have small paper snips on hand to get into small design areas. I enjoyed reading this post. Although I do not use a journaling Bible, I do look for Bibles which have good sized margins for notes. May God bless your time in His Word ! Thank you so much. And, thank you for stopping by! I like the idea of using stamps or stencils to create the look you want, and coloring them in. My drawing skills are mediocre at best, so those options are a great way for someone like me to still make beautiful Bible art!